This editorial in yesterday’s (Sunday) Washington Post, “Appalled by the Mall,” gets it — and the last paragraph is a bell-ringer for us all. The National Park Service needs money, and private support, to do its job maintaining the Mall. The Mall needs a comprehensive vision for the future created by a Congressionally-chartered Mall Commission of visionary thinkers. 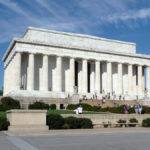 The context for the editorial was the hearing last week on The Future of the National Mall by the House Committee on Natural Resources, Subcommittee on National Parks. The historic ground is a victim of both popularity and official neglect. What to do? A LOT OF grand words were used last week to describe the Mall: “iconic landscape,” “the people’s place,” “great swath of green,” “hallowed ground,” “America’s civic stage” and — in the vernacular of its famed designer — “the vast esplanade.” Unfortunately, though, the most accurate description heard was “disgrace.” Conditions are so bad that a lot more than words are needed if this special place is to be saved. Crumbling walkways, dead grass, dirty pools and sinking seawalls were some of the problems highlighted at a congressional oversight hearing. The Mall has neither proper amenities nor appropriate educational programs to serve the 25 million people who visit each year. Overuse and delayed maintenance are the culprits. Members of Congress who now tsk-tsk about park conditions have failed for years to give the National Park Service the money to do its job. Recent budgets for the Mall and memorial parks have barely kept pace with inflation, even as the demands have grown. So it’s a good thing that the private sector is stepping forward with a willingness to help raise money. Congress is not off the hook, but we applaud the efforts of the Trust for the National Mall, a nonprofit founded by a D.C. businessman who became appalled by Mall conditions during his daily jogs. John E. “Chip” Akridge proposes to raise $500 million via a partnership with the National Park Service modeled after the successful Central Park Conservancy in New York. It held its national launch this month, attracting 500 supporters and raising more than $600,000. On other fronts, the park service is developing a blueprint for action, Mayor Adrian M. Fenty’s administration is interested in taking a more active role and Del. Eleanor Holmes Norton (D-D.C.) is pushing legislation to expand the Mall. These efforts would help solve some of the maintenance and management issues, but questions about the Mall’s future remain unresolved. The challenges of today simply didn’t exist when Pierre L’Enfant laid out the expanse of open space. He could not have envisioned the more than 3,000 annual applications for public gathering permits — from house-building displays for hurricane victims to war protests. How to deal with these constant and myriad demands for public use, what to do about flooding, how to better connect the Mall to the city center — all are among the questions that need to be addressed. Responsibility for the Mall is fragmented among different agencies, and oversight is split among at least eight congressional committees. The last comprehensive look at the Mall was in 1902 by the McMillan Commission. So there is much merit to the National Coalition to Save Our Mall’s proposal that Congress charter a commission to devise — and then implement — a vision for the coming decades.